Firebrand named Top 20 IT Training Company for the eighth time! 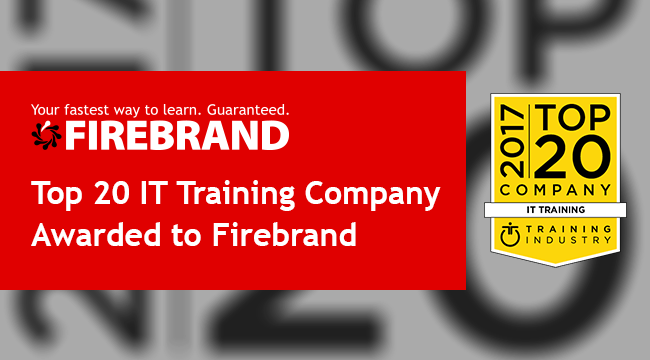 We’re proud to announce that Firebrand Training has been named among the Top 20 IT Training Companies for the eight successive time. This award distinguishes “the best providers of training services and technologies” and recognises the high standard of Firebrand’s accelerated training and apprenticeships. The award closed a successful year for Firebrand; over 125 acclerated courses were launched in 2017, alongside the delivery of new IT apprenticeship programmes. 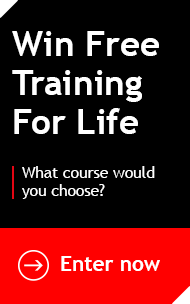 Simply put: Firebrand Training is your fastest way to learn. If you need professional certification or want quickly develop staff through IT apprentice programmes, Firebrand’s accelerated training is your fastest route.